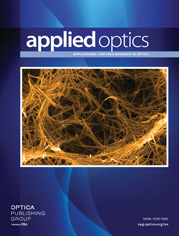 The authors are with the Laser and Photonics Systems Group, School of Engineering, University of Sussex, Falmer, Brighton BN1 9QT, UK. A new stereophotolithography technique utilizing a spatial light modulator (SLM) to create three-dimensional components with a planar, layer-by-layer process of exposure is described. With this procedure it is possible to build components with dimensions in the range of 50 μm–50 mm and feature sizes as small as 5 μm with a resolution of 1 μm. A polysilicon thin-film twisted nematic SVGA SLM is used as the dynamic photolithographic mask. The system consists of eight elements: a UV laser light source, an optical shutter, beam-conditioning optics, a SLM, a multielement reduction lens system, a high-resolution translation stage, a control system, and a computer-aided-design system. Each of these system components is briefly described. In addition, the optical characteristics of commercially available UV curable resins are investigated with nondegenerate four-wave mixing. Holographic gratings were written at a wavelength of 351.1 nm and read at 632.8 nm to compare the reactivity, curing speed, shrinkage, and resolution of the resins. These experiments were carried out to prove the suitability of these photopolymerization systems for microstereolithography. b Vincent Associates, Rochester, New York. a Information provided by the manufacturers’ data sheets.